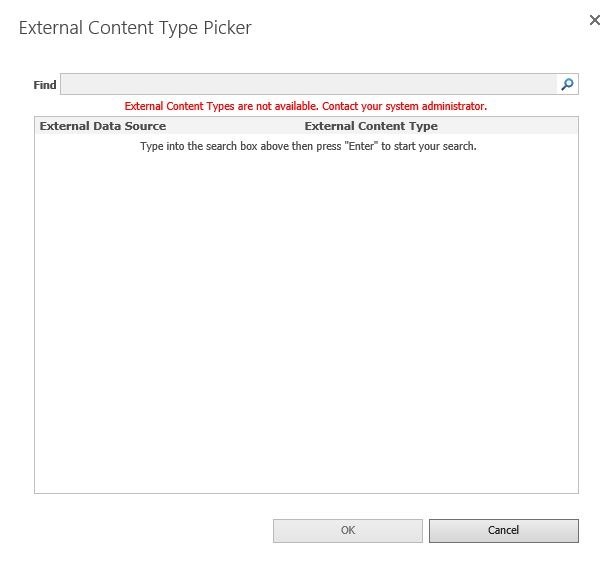 External Content Types are not available. Contact your system administrator. 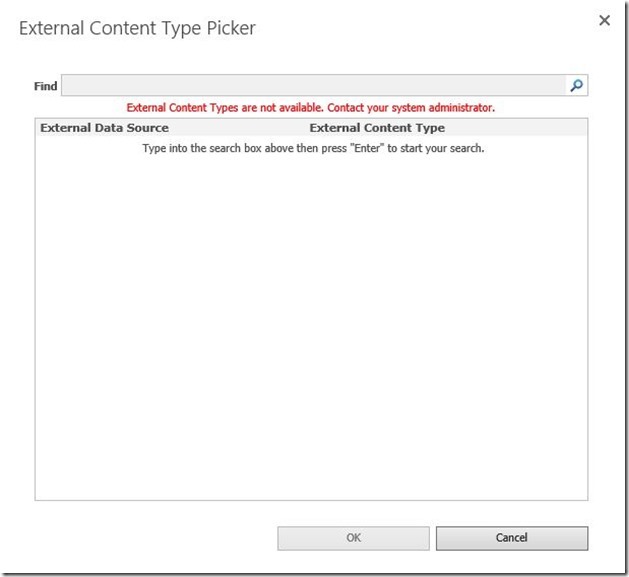 Note: External Content Types are created using SharePoint Designer. well, work for me !